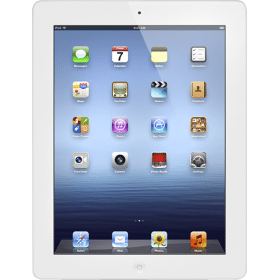 Are you the proud owner of a shiny, new iPad 3? How many times have you viewed documents or photos on it and wished you could print those wirelessly without firing up your laptop or desktop? In fact, there are several ways to print from your iPad. Here are some gadgets and apps to try. The easiest solution is to invest in a wireless printer that supports AirPrint technology. The AirPrint feature built into your iPad lets you wirelessly print to any AirPrint compatible printer. It is hassle-free, considering that you don’t need to download any software or install any printer drivers. Just make sure that your iPad has an updated iOS. Here’s a complete list of AirPrint-enabled printers. Download the free HP ePrint Home & Biz app on your iPad to print documents, PDFs, photos, web pages, and email attachments. The app works with over 200 HP printer models. Using the app, you will be able to connect directly to an HP printer available on a local wireless network and initiate the print job. Another option is to look into buying one of HP’s printers with ePrint like HP Officejet 6100 e-Printer Wireless Color Printer . With an HP ePrint enabled printer, you can simply email the document or photo you want to print from your iPad to the printer’s email address and the file will automatically print. You could also use your iPad’s AirPrint feature. The Epson iPrint app is a free downloadable app that lets you connect directly from your iPad to an Epson printer within your wireless network. Besides, documents, photos, PDFs and more, the app also supports printing files from cloud-based storage services such as DropBox and Evernote. There are several other similar apps created by manufacturers for their printers such as the Lexmark LexPrint App, Brother iPrint&Scan, Canon Easy-PhotoPrint, and Samsung Mobile Print. There are also some third-party paid apps that support wireless printing directly from the iPad. Try the Print n Share by EuroSmartz for iPad ($8.99). The Print n Share app is a versatile printing app that connects with both wireless printers and printers without wireless capability. To access a printer without Wi-Fi, you would need to install a WePrint helper application on your Mac, which connects your iPad to the printer. The app also supports cloud storage. Whichever method you choose, these options will enable you to more easily print from your device without having to deal with your computer at all!